Anatomy is the fundamental subject which forms the base for training of professionals in the field of Medicine and Dentistry. 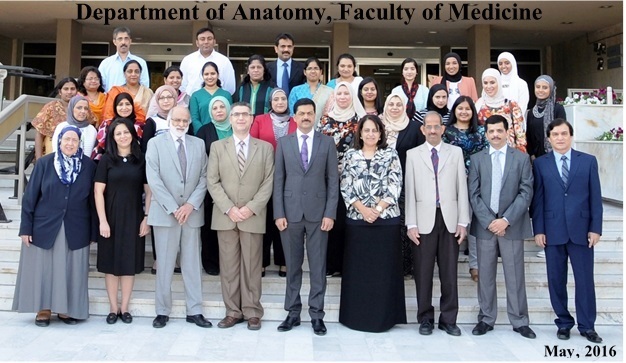 Department of Anatomy deals with four primary areas that constitute Morphological Sciences: Gross Anatomy, Histology, Neuroanatomy and Human Embryology. Department is responsible to teach these four anatomical disciplines to the students of the Faculties of Medicine and Dentistry and Graduate students of all faculties of Kuwait University.